Apples to Apples is such a great family game and right now, you can get Apples to Apples Junior – The Game of Crazy Comparisons! for Only $11.36 (reg. $21.99) on Amazon! Shipping will be FREE on orders of $35 or more or if you have Prime! Don’t have Prime? Start a 30 day FREE trial! Apples to Apples Junior is the game of hilarious comparisons! 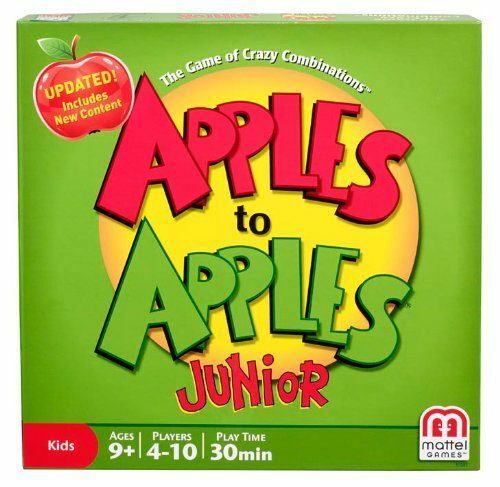 Based on the popular card and party game, Apples to Apples, this Junior version gives kids hilarious, fast-paced fun while also building their vocabulary and thinking skills. The 576 cards provide hours and hours of fun! Great for ages 9 and older.